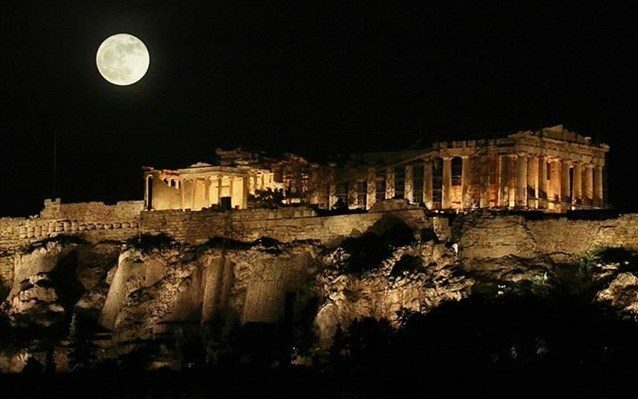 Full Moon Eclipse over Parthenon, originally uploaded by greek58. 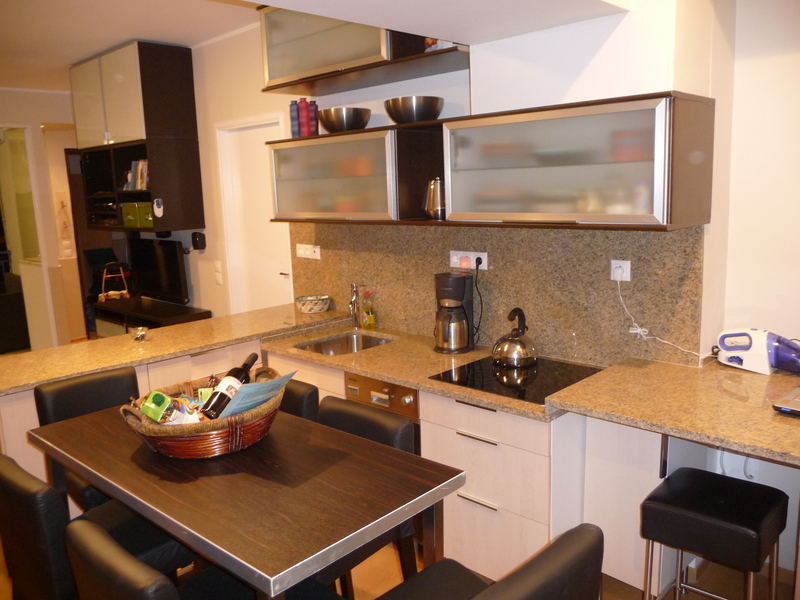 UPDATE FOR 2011 – Lots of sites will be open on August 13, just not the Acropolis! See the latest post for a complete list. Every August, on the eve of the full moon, several archeological sites in Greece stay open late for a full moon festival. This year, 2011, due to the large crowds that showed up last year, the Acropolis itself won’t be open. But there will be other activities in the area so you can enjoy the historic center of Athens under the light of the full moon. The Acropolis Museum will be open until midnight and there may be a free concert along the Grand Promenade. You won’t be as lucky as we were when I shot this photo in 2008, as a total ecplipse suddenly hid the entire moon, leaving us in total darkness until the lights slowly came up from inside the Parthenon. 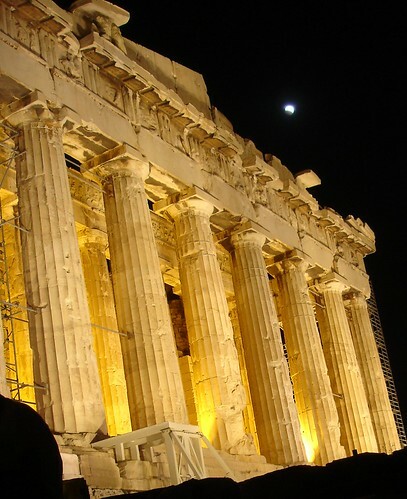 For a look at a previous year Full Moon Celebration at the Acropolis, visit our Gallery.